Going into the shootout, Ruggiero (right in left picture) confided in victory because of the American's goalie, Chanda Gunn (left in left picture). 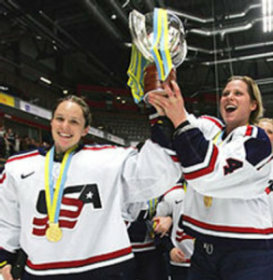 Cammi Granato, Shelly Looney and Katie King celebrate a World Championship win after 15 years of U.S. futility versus Canada in eight previous World Championship finals. 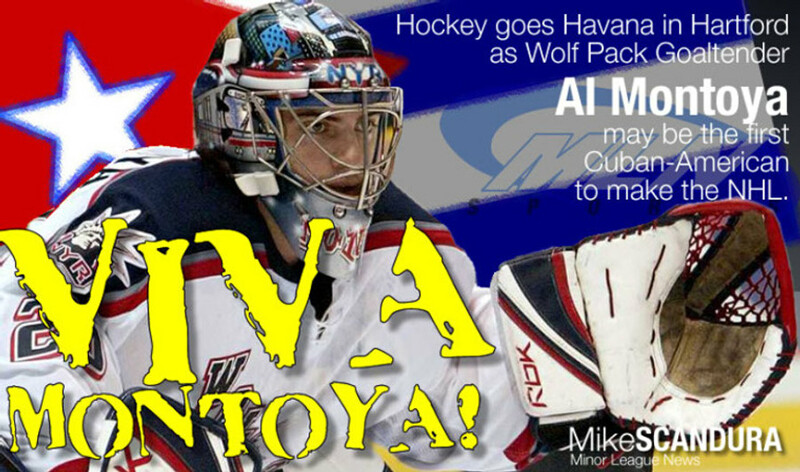 Al Montoya Cuban-American NHL Player.